You can hear my conversation with Ariel Gonzalez on WLRN's Topical Currents by going to the About Lynne page or download the full show's MP3 here. I led a First Draft writing session at Thursday, Nov. 16, 2017 at The Porch, providing prompts with the theme "Noir Country." And then I was in the line-up of readers for Noir at the Bar, along with murder ballads by Wilson and the Slayers. Featured readers were Hector Duarte Jr., Mike Creeden, Lynne Barrett, Alex Segura, and Joe Clifford. I was a visiting writer at the University of Nebraska-Lincoln's creative writing program in October 2017. 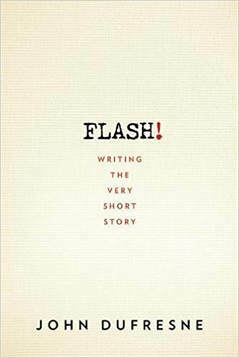 I was among those reading at the launch event for John Dufresne's FLASH! 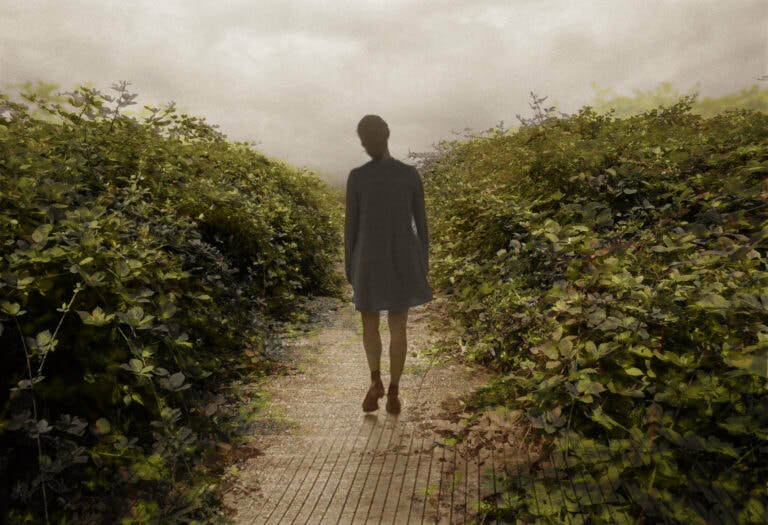 Writing the Very Short Story (Norton) at Books and Books, Coral Gables, Saturday Feb. 17 at 7 PM and a week later at Murder on the Beach Bookstore in Delray Beach, Saturday, Feb. 24. November 3-6, 2016, I was among those presenting at the Sanibel Island Writers Conference. Sept. 17th, I taught a Miami Book Fair workshop on "What Editors Want: Understanding the Process of Submitting to Literary Magazines" at the MDC Wolfson Campus in downtown Miami. Bring your questions, fears, hopes, and ambitions. Details here. 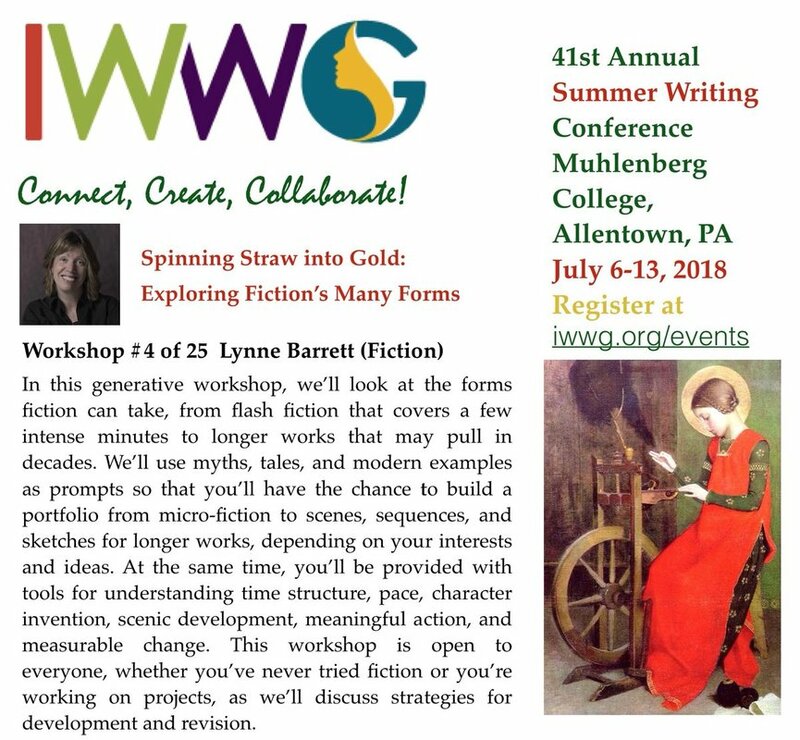 The International Women's Writing Guild Summer Conference took place in July 2016 at Muhlenberg College in Allentown, PA. I'll be there teaching a workshop about using elements of mystery and suspense in both literary and crime fiction. 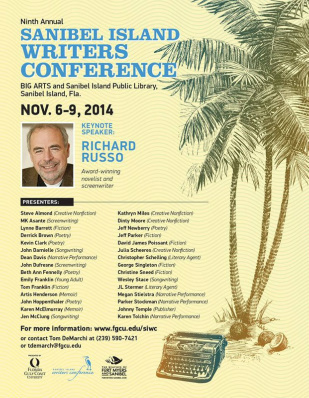 I was among the presenters at the FGCU 10th Annual Sanibel Island Writers Conference, Nov. 5-8. Oct. 26, at 7:30 PM, I gave a talk on Plot & Structure at Broward College's South Campus, sponsored by BC Student Life. The talk will take place in the Activity Room, Building 68, Room 90. And the next day, 10-1, I taught a workshop: What Shapes a Short Story for The Cream Literary Alliance. I'll be part of a Women of Florida Fiction event at the 2015 Florida College English Association conference. 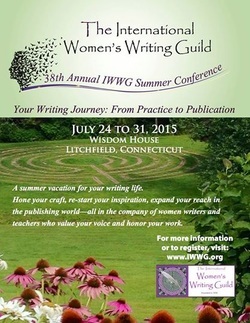 I taught at the International Women's Writing Guild Summer Conference, in Litchfield, CT. The conference next summer will be held at Muhlenberg College in Allentown, PA.
Saturday, June 27th, I tuaght a one-day class for Grub Street in Boston, Crossing the Line: Using Crime to Construct Strong Stories. Full description and registration information here. May 7-9, I taught a three-day workshop on Plot & Structure at the Miami Writers Institute, organized by The Center at Miami Dade College. On May 6th I did a reading at the conference. In early January, I spoke about Story and the Map of Opportunity at the Carlow University Low Residency MFA Program in Pittsburgh, PA. I was among those teaching at the FGCU Sanibel Island Writers Conference, Nov. 6-9. 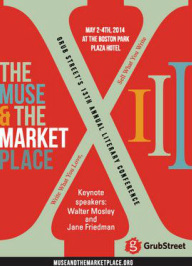 May 2-4, I taught two classes at Grub Street's Muse & the Marketplace Conference, in Boston: "Crossing Paths: The Map of Opportunity in Story" and "The Measure of Change: The Short Story." 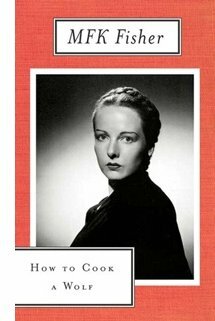 More on Grub Street here. January 31st, I was part of the LitChat Literary Salon, held at the Betsy Hotel in Miami Beach and available to all via Twitter using the #litchat hashtag. My panel, "Publishing Pathways," was followed by a reception celebrating the 5th anniversary of #LitChat. Dec. 30-Jan. 1, I talked about Plot & Masquerade, did a reading, and was on a Publishing Panel at the Burlesque Press Hands On Literary Festival and Masquerade Ball in New Orleans. 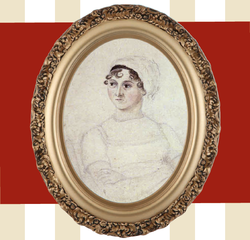 December 8th, I spoke about "Jane Austen's Tips for Authors: What Fiction Writers Can Learn from Pride and Prejudice" at the Jane Austen Society of North America South Florida chapter's celebration of the 200th aniversary of the publication of Pride and Prejudice, at Nova Southeastern University's Alvin Sherman Library. Full schedule and details here. Nov. 7-10, I taught Plot & Structure, and read with Steve Almond and Dan Bern at the Sanibel Island Writers Conference. I was among those teaching at the Florida International University Writers Conference, Oct. 24-26th at the Biltmore Hotel, Coral Gables, FL. September 21st, I was the keynote speaker at the Gulf Coast Writers Conference in Panama City, FL. Info about this annual conference is available here. 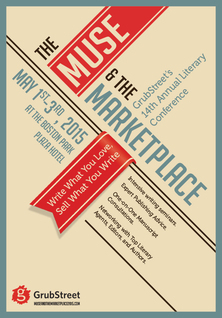 I taught "A Beginner's Guide to Plot" and "Secrets & Lies" on what's hidden and how it emerges in stories, at Grub Street's Muse & The Marketplace conference, Park Plaza Hotel, Boston, May 3-5. Check out this amazing array of presenters. 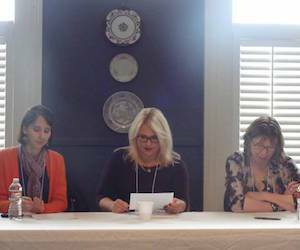 I read and was on a panel at the Gulf Coast Association of Creative Writing Teachers annual conference April 5-6 in Fairhope, AL. March 16th, I was guest speaker at the Florida Mystery Writers of America lunch meeting in Deerfield Beach, FL, on the topic "Scene of the Crime: Using Place and Mapping in Mystery and Suspense." Info. about the FMWA, here. December 8th, I spoke about "Jane Austen's Tips for Writers: What Fiction Writers Can Learn from Pride and Prejudice" at the Jane Austen Society of North America South Florida chapter's celebration of the 200th aniversary of the publication of Pride and Prejudice, at Nova Southeastern University's Alvin Sherman Library. Full schedule and details here. 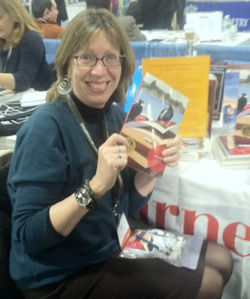 I coordinated the Florida Book Review blog of Miami Book Fair International 2013. Among the bloggers were members of my Literary Journalism class. You can read the blog here. November 7-10, I taught Plot & Structure and read with Steve Almond and Dan Bern at the FGCU Sanibel Island Writers Conference. April 5th & 6th, I was in Fairhope, AL for the annual conference of the Gulf Coast Association of Creative Writing Teachers. March 16 I was the guest speaker at the Florida Mystery Writers of America lunch meeting in Deerfield Beach, on the topic "Scene of the Crime: Using Place and Mapping in Mystery and Suspense." Info. about the FMWA: here. Feb. 23rd, I taught "The New Crime Wave," a one-afternoon class on using mystery and suspense in writing both genre and literary short stories (and longer fiction, too) for The Center @ MDC, to be held at Book & Books Coral Gables. Learn more about The Center @ MDC workshops. Feb. 11 The Coral Gables Adult Activity Center's Book Club held a lively discussion of Magpies. 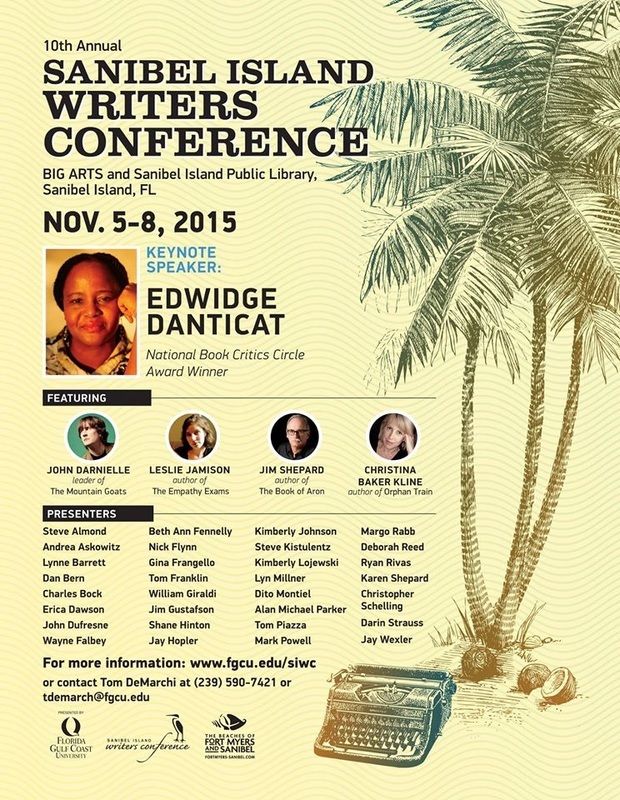 Nov. 8-11, I taught and did a reading at the FGCU Sanibel Island Writers Conference. I'll be back for the 2013 conference. Nov. 17-18 was the finale weekend of Miami Book Fair International at the Wolfson Campus of Miami Dade College. On Sat. Nov. 17 I did a reading as part of the Sweat Broadsheet Project panel, in the Centre Gallery where the Broadsheet show was on display until December. Sunday, Nov. 18, I moderated and took part in a panel on Literary Crimes: A Discussion and Reading, with Joseph Olshan, Joy Castro and Emily St. John Mandel. 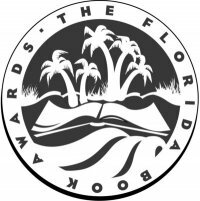 And I appeared on a panel with three other Florida Book Awards winners: Stephen Kampa (Cracks in the Invisible: Poems), Jessica Martinez (The Space Between Us,), and Sen. Bob Graham (Keys to the Kingdom). 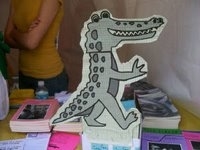 And throughout the weekend I coordinated the Florida Book Review blog of the Book Fair. I taught a class on revision, and read a new story, at the FIU Writers Conference at the Biltmore in Coral Gables, FL Oct. 25-27. A book event can turn into an episode of "This Is Your Life." May 31st I had the pleasure of doing a reading and signing at Watchung Booksellers, in Montclair, NJ, next to the town where I grew up. Old friends, high school classmates, former students who have moved to the area, and new acquaintances showed up and packed the store's event space. Only regret: I should have stopped when I was reading and taken a photo of the audience. March 21st, Florida Book Awards Ceremonies: Lynne was among those receiving a Florida Book Awards Gold Medal at the Historic and Cultural Awards Ceremony sponsored by the State of Florida's Division of Cultural Affairs at the R.A. Gray Building in Tallahassee. Earlier that day Lynne attended a luncheon for medal winners at the Governor's Mansion, hosted by Florida's First Lady. April 19, 2012, Florida Library Association Annual Conference, Orlando, FL Reading by medal winners in the Florida Book Awards and banquet. 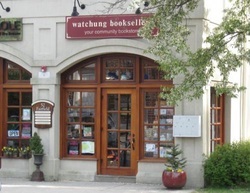 May 31st: Reading at Watchung Booksellers, Montclair, NJ. May 13-17, Keynote speaker at the Florida Institute of Technology Creative Writing Institute in Melbourne, FL. I taught a four-day workshop: "Character, Scene, Story: Building Strong Fiction," read from her work, and participated in a panel on publishing. Rosemary Beach Spring Writers Conference, May 9-12. May 5th & 6th I taught two workshops at Grub Street's Muse & The Marketplace Conference in Boston at the Park Plaza Hotel. This annual conference has abundant offerings about writing and publishing and an extensive manuscript mart where it's possible to get individual feedback from agents and editors. Learn more here. 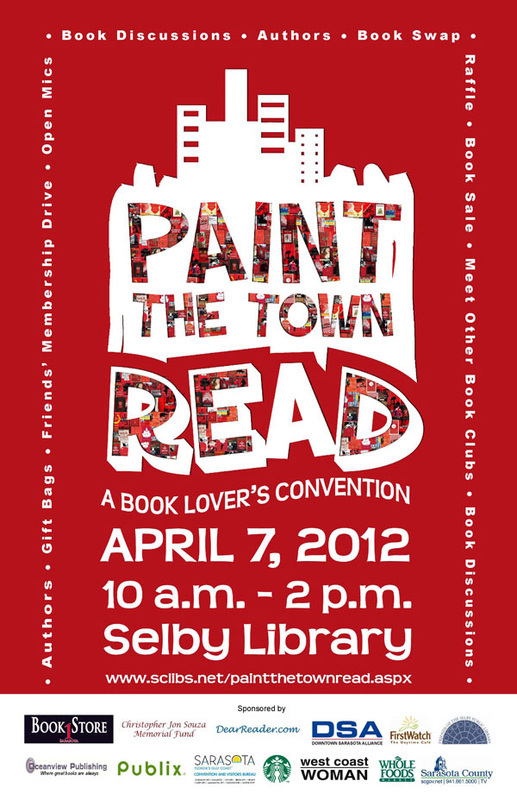 April 7, Paint the Town Re(a)d Book, A Book Lover's Convention, Selby Library, Sarasota, FL. Festival 10-2, book signing at 11:30-1:30. March 28: Visiting writer, Wake Forest University. March 25: workshop and reading at Battery Park Book Exchange & Champagne Bar, Asheville, NC. 2-5: Workshop, sponsored by the Flatiron Writers. 5-6 Social hour. Reading 6 PM. Info. on the workshop here. March 15th, noon to 1:30, Lunch With an Author Series, Key Biscayne Community Center. Feb. 23, 7 PM: Reading with Kat Meads, co-sponsored by the Mendocino Coast Writers Conference and Gallery Bookshop in Mendocino, at the Little River Inn, Little River, CA. Details here. Jan. 26th, 7:30 PM, Stories & Art, reading & discussion: Lynne Barrett (author of Magpies) and Sterling Mulbry (whose painting "Magpies" is on the book's cover) at Books & Books, Bal Harbor. Sunday, Nov. 20, 12:30 PM, Tayari Jones, Ana Menendez, Justin Torres, & Lynne Barrett read from their work at Miami Book Fair International. Nov. 3-6 I taught Plot & Structure, read from Magpies, and was on a "What Do Editors Want?" panel at the Sanibel Writers Conference. I also got to take a song-writing class with Dan Bern. Nov. 1st I read at Bookstore1Sarasota. Had the pleasure of meeting Georgia Court, owner of this new and beautiful independent bookstore. Oct. 27th I read at Porter Square Books in Cambridge, MA. The crowd included writer friends (one just off a plane from Spain and another just back from China), many writers and staff members from Grub Street, former students, and some friends not seen since high school. They wiped out the store's supply of Magpies, but they promise to get more in soon. It was a great evening despite wind, rain, thunder, and finally snow. October 5, I returned to the Odyssey Bookshop in South Hadley, MA, where Madeleine Blais introduced me to an audience that included stalwart booklovers who had come from the Berskshires, Boston, and Connecticut. Oct. 1, my reading at Books and Books, Coral Gables, FL was the South Florida launch of Magpies. Reception at 6:30, reading at 7 PM. There was a great crowd, a beautiful spread for the reception. Read Geoffrey Philp's blog about an evening he said marked "the full flowering of our literary community." 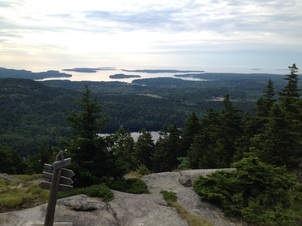 August 23 at 5:30 I spoke at the Southwest Harbor Public Library, Southwest Harbor, ME. Governor King kicked off the day. "Walk-In" is in the anthology Blue Christmas: Holiday Stories for the Rest of Us, edited by John Dufresne. I was part of the Blue Christmas signing at the Miami Book Fair and then read at the launch party reading & celebration Dec. 10, 2011 at Books & Books , Coral Gables, FL. With John Dufresne, Colin Channer, Jon Clinch, and Ann Hood, I read at Newtonville Books Dec. 15. Along with Ann Hood and Colin Channer, I also did a post-Christmas Blue Christmas event at Books on the Square in Providence, RI, Jan. 3, 2012. The Miami Herald's review of Blue Christmas, "Unhappy Holidays." And USA Today's review. The anthology is published by B & B Books, a new venture of independent bookseller Books and Books. Miami Herald coverage here. The book is available from the Books and Books website. Or look for it on IndieBound. Miami Book Fair International Festival of Authors, Nov. 19 & 20, 2011. Saturday, Nov. 19, at 11 am, in the Center Gallery, Building 1, I led the reading for the Tigertail, A South Florida Print Annual: Florida Flash, which she edited. Sunday, November 20 at 12:30 pm in Room 3208-09 in Building 3, I read from Magpies as part of a panel, "The Writers Voice," with Justin Torres, Tayari Jones and Ana Menendez. 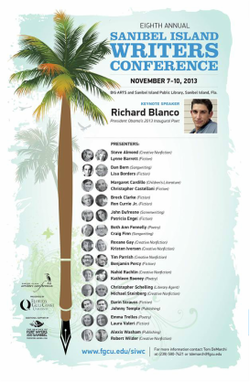 I'll be on a panel, along with other Florida Book Awards winners, at MBFI 2012. Check out the Book Fair's amazing list of authors for this year. Information about this year's Book Fair schedule and the Exhibitors is available on their website. Part of the crowd at Books & Books for the Florida Flash launch. Oct. 17, 8 PM Tigertail, A South Florida Print Annual: Florida Flash had its launch at Books & Books, Coral Gables, FL. 22 of the 54 authors were on hand to read and/or sign, and over 200 people turned out to hear them read and me explain (briefly!) explain why I set a limit of 305 words for these prose poems, flash fiction, and flash nonfiction pieces. Dan Grech and Christine DiMattei of the WLRN-Herald News announced the start of their South Florida Flash contest and recorded and interviewed some of the contributors for pieces that are airing through the start of Miami Book Fair International. Oct. 20-22, 2011, I was part of the FIU Books & Books International Writers Conference Grand Cayman. In the photo, taken just after our final night's reading at the beautiful Books & Books at Camana Bay, l to r: Gerald Costanzo, Colin Channer, John Dufresne, Lynne Barrett, Les Standiford, Debra Dean, Campbell McGrath, Robert Rotstein, Tom Lux, Kim Witherspoon, Tom Swick, Mitchell Kaplan, Mark Kurlansky. Photo by Kimberly Kurzweil Standiford. At Books and Books, Coral Gables, for our MFA program's annual alumni reading, with M.J. Fievre, Kacee Belcher, Diane Marshall, and Cecilia Fernandez. I've been fortunate enough to be a teacher at FGCU Sanibel Writer's Conference, Sanibel Island, FL for several years. 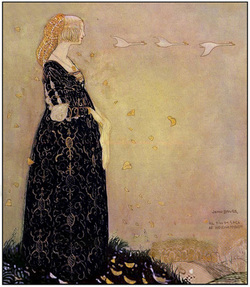 November, 2011: I taught Plot & Structure, read from Magpies, and was on a "What Do Editors Want?" panel at the Sanibel Writers Conference. I also got to take a song-writing class with Dan Bern. The Rosemary Beach Writers Conference for Writers had its first session in May 2011, and in September John Dufresne again led it, this time twice as big. 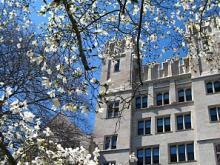 The International Women's Writing Guild annual conference was held at Yale University, New Haven, CT, in June 2012 and 2011. The conference was held at Brown University in 2010, and at Skidmore College in 2009. I taught two classes at Grub Street's Muse & the Marketplace, Boston, April 30-May 1, 2011. April 8 & 9, 2011, I read and was part of two panels at the Gulf Coast Association of Creative Writing Teachers conference at the University of South Alabama's Fairhope, AL campus. This is a great organization for writers in the Gulf States who teach, or aspire to. Check out the website to learn more. My workshop "Haunted: Ghost Stories and the Use of the Uncanny," October 30, 2010 at FIU's BBC Campus was a benefit for Gulf Stream Magazine, and drew a great crowd of writers ready to think about what's eerie. To learn about GS's other workshops, visit their site. 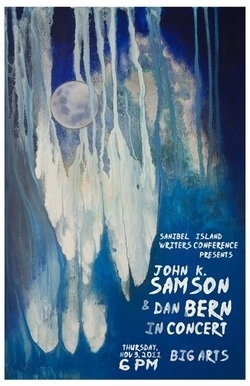 July 29-August 1, 2010, Mendocino Coast Writers Conference, CA. Coverage from the San Francisco Examiner. I had the pleasure of teaching a master class in revision, a class in flash forms, and giving a keynote address on the last night. And I got to see whales spouting off Point Cabrillo. In March 2010, I went to Clarksdale, Mississippi, for the launch of Delta Blues, edited by Carolyn Haines with a foreword by Morgan Freeman. My story "Blues for Veneece" is in the collection. Launch events included the debut of the Blues Muse Band (for which I sang a couple of numbers, and was a "Boom Boom" back-up singer with Carolyn Haines, Charlaine Harris, Toni L. P. Kellner and Dean James. In May, Les Standiford and I did two events in South Florida for the anthology, at Books and Books, Coral Gables, and Murder on the Beach Bookstore, Delray Beach. May 1 & 2, 2010, I had a great time teaching at Grub Street's Muse & the Marketplace Conference at the Park Plaza Hotel in Boston. More info here. April 24, 7 PM, Lip Service True Stores Out Loud reading at Books and Books, Coral Gables, FL. Coverage on Plum TV. April 8-10, Associated Writing Programs Conference, Denver, CO. I was on a panel on plot and form, "Plot as Ritual Not Representation," with John Dufresne, Debra Monroe, and Antonia Nelson. Tamara Linse blogged the session. And the Lavademon blog covered the panel in detail. March 5 & 6, Fairhope, AL, the Gulf Coast Association of Creative Writing Teachers conference (U. South Alabama-Baldwin County Campus), I read fiction and chaired a panel on On-line vs. traditional publishing. February 24, reading at Broward College, South Campus Amphitheater, Pembroke Pines, FL, part of Southern Exposure Book Fest, which ran February 10 to April 13. In January 2010 I went to Geneva Switzerland to teach classes sponsored by the Geneva Writers Group. On Saturday, January 16th I taught two workshops: Fundamentals of Narrative Structure (morning) and Creating a Strong Story Structure for Your Novel (afternoon). Sunday , the 17th, I led a Master Class in structuring the novel, memoir, or narrative nonfiction. Alice Baudat of the Geneva Writers Group did this watercolor of Lynne teaching in Switzerland in April 2008. For the past several years I have coordinated the Florida Book Review's live-blogging of the 26th annual Miami Book Fair International. 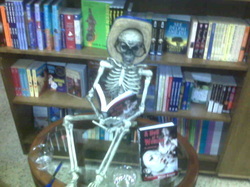 The live blogs from 2011, 2010, and 2009 can be read online at www.FloridaBookReview.com. October 22-24, 2009, FIU Hutchinson Island Writers Conference, Hutchinson Island, FL. All-day workshop "Plot: The Structure of Story in Fiction, Memoir, and Narrative Nonfiction," October 17, 2009, as part of the International Women's Writing Guild's Big Apple Weekend at the National Arts Club, 15 Gramercy Park South, N.Y., NY. June 12-19, 2009, International Women's Writing Guild Remember the Magic Conference, Skidmore College, Sarasota Springs, NY. June 6, 2009, One day workshop, "Plot: The Map of the Story," at Grub Street, Boston, MA. 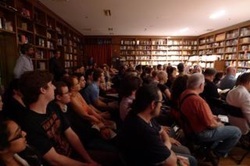 May 16, 2009, 7 PM, I was part of the Lip Service reading at Books and Books, 265 Aragon Avenue, Coral Gables, FL. And earlier that day I spoke on "The Rift: Creating Complex Characters" at the monthly lunch meeting of the Florida Chapter of the Mystery Writers of America. May 6-9, 2009, Florida Center for the Literary Arts Writers Institute, Miami, FL. I taught a workshop called "Understanding Plot." February 28, 2009, Workshop, Southwest Florida Romance Writers, Naples, FL. November 6-8, 2008, FGCU Sanibel Writers Conference, Sanible Island, FL. Tom DeMarchi, director of the conference, talks about it online at The Southeast Review. The conference was great and the weather was gorgeous. October 30, 2008, 6 PM, Meet the Authors, All Souls' Episcopal Church, Miami Beach. Reading, discussion and signing by Diane Abu-Jaber, Lynne Barrett and Lorna Owens. 4025 Pine Tree Drive, Miami Beach. October 22-25, 2008, FIU Writers Conference on Hutchinson Island, FL. June 13-20, 2008, International Women's Writing Guild Conference, Skidmore College, Saratoga Springs, NY. May 22, 2008, 6:30 PM, The Noir Side of the Sun: Crimes, Mysteries & Thrillers Miami Style, Soya e Pomodoro, 120 NE 1st St., Miami. A write out loud reading, sponsored by the Florida Center for the Literary Arts. Featuring Lynne Barrett, James O. Born, Edna Buchanan, Vicki Hendricks, Paul Levine, Bob Norman, and Bob Williamson. After the event, James O. Born reflected on how strangely safe downtown Miami has become. May 20, 2008, Open Doors presented an Evening of Poetry and Storytelling. Lynne Barrett, Leonard Nash, and Nina Romano read. Open Doors, Miami Modern District, 7300 Biscayne Blvd., Miami. A reading at a furniture store? Why, yes. The Miami Herald's Ben Candea reports on the evening. Tom Swick's blog at the Sun-Sentinel describes this event and other doings on the Upper East Side. April 12-13, 2008, Master Class: Saturday: "The Map of the Story: Story, Scene, Movement, Territory," Sunday Master Class in Fiction, Geneva Writer's Group, Geneva, Switzerland. Saturday, March 29, 10 AM-1 PM, Workshop, "21st Century Noir," at the Florida Center for the Book, Broward Public Library, Fort Lauderdale, FL. Chauncey Mabe of the Sun-Sentinel gave this workshop a great write-up on his blog. This workshop was part of The Big Read. For info on other Florida Center for the Book events, e-mail. Kind words from Chauncey Mabe of the Sun-Sentinel for my workshop at the Florida Center for the Book in March 2008. March 10, 2008, A Hell of a Woman, A Conversation, with Megan Abbott, Lynne Barrett & Vicki Hendricks. 10 AM, Miami Dade College, Wolfson Campus, 300 NE Second Ave., Room 2106, Miami; and 1:30 PM, Miami Dade College, Hialeah Campus, 1780 W 49th St., Hialeah. Co-presented by the Florida Center for the Literary Arts and the student life department at Miami Dade College's Wolfson Campus in celebration of Women's History Month. Free and open to the public. March 8, 2008, American Association of University Women Book Brunch, Riverside Hotel, Fort Lauderdale, FL. 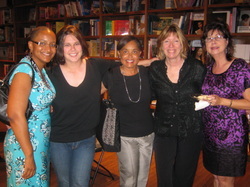 December 7, 2007, Launch of A Hell of a Woman at Murder on the Beach in Delray Beach, FL. Lynne Barrett & Vicki Hendricks read from their stories in the new anthology of female noir and answered questions. November 10-11, 2007, The Florida Book Review took on live-blogging at the Book Fair, coordinated by Lynne. Read her piece on Richard Russo and the questions authors are asked here and blogging by FBR staff, book fair attendees, and other authors here. Sunday, Nov. 11, 12:30 PM, "Noir Fiction, the Darker Side of Literature" featured Megan Abbott, Lynne Barrett, John Bond, John Dufresne, & Vicki Hendricks reading frm their work and discussing what the heck Noir is, anyway, to a lively audience that packed Centre Gallery at Miami Dade College. Lynne & Vicki read from their stories in A Hell of a Woman, an anthology of female noir edited by Megan Abbott. There's a blurry photo of the panel up on John Dufresne's blog. LB, Vicki Hendricks, Jeff Wehr, George Tucker, and Barbara Parker at Murder on the Beach.